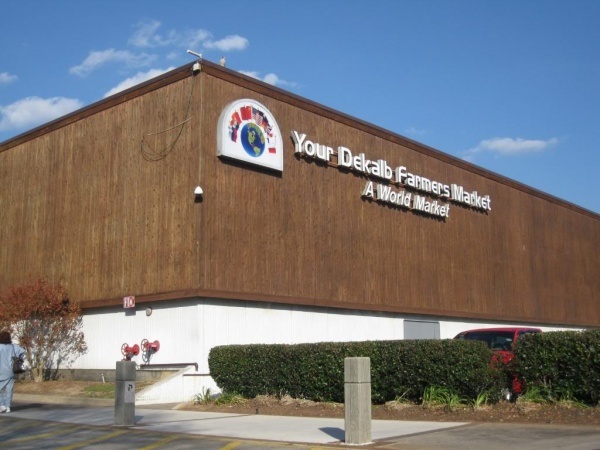 If you’re from the metro Atlanta area, you’ve either heard of or have been to the DeKalb Farmers Market. Our first visit was 2 years ago when we began our healthy journey and I’ve loved going ever since. I remember it very clearly, I went alone with my 1 year old and was so excited about what was to come. Visit their website to get a feel of what you should expect. There’s a message from the founder to specific information about the various types of food. Wear a jacket! All year long. Imagine being in one big walk-in freezer the whole time. Don’t let this keep you from going just let this serve as your warning. Make a grocery list prior to going. The prices are a tad bit cheaper than most grocery stores so if you’re like me, you start to pack more and more in your cart because you ‘think’ your budget go bigger lol. Be open to new things! Although I don’t recommend veering from your list, I think it’s cool to try some of the more exotic foods that you won’t see in your neighborhood store. Grab your grocery cart outside in the parking lot as they are not stored inside the store. Take cash if you want to buy anything from their bakery and deli. They only accept cash in those areas. Be prepared to pay in cash, debit card, or by your SNAP benefits. They don’t accept credit cards! Don’t expect to find all of your household supplies like paper towels, tissue, soap, etc. Bring your items to recycle. I love recycling but often let everything pile up and clutter the house. See their recycling guidelines here and consider dropping your items off before or after shopping. Avoid going on the weekends and the evenings. As you can imagine most people are available during those times and according to their website, approximately 100,000 people go through the market weekly! Here are some pictures from a couple of our visits. I was so excited to show my husband all of the food that I bought after going for the 1st time! My mother in law just told me about this stuff! Part of the recycling center. The entire area is more organized than how this picture looks. Although the prices are only a little cheaper than the grocery store, I’ll take the savings! Told you… There’s some of everything there. No I didn’t buy these lol.